From rockets to robots, monkeys to monsters and lots more, find out how to draw everything you’ve ever wanted to by following the simple step-by-step instructions in this inspirational draw-in book. Young children will feel a real sense of achievement mastering the simple drawing activities in this book. 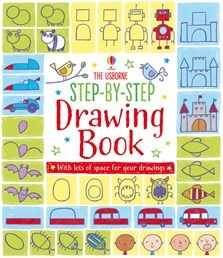 Includes plenty of space in the book for practising your own drawings. A fun pastime that adults are sure to enjoy, too!